The heavy rain on snow event of last weekend deposited between 3.2 and 6.8 inches of rain on our meager snowpack. Significant layers have retained free water and therefore exist in a weakened condition. Weather forecasts with 10-15 degrees above normal temperatures through the weekend will not help this condition. No overnight refreezing is forecasted. Current SWE for our Ranges are East Cabinets 43% of average, West Cabinets 46%, and Purcells 55%. As you would expect, our precipitation levels are near normal with much of our winter moisture coming as rain. Back country travelers should avoid steep terrain during the warm afternoons and during any moisture event. Even small wet slabs can be very destructive, therefore give yourself a wide safety buffer to handle the uncertainty. Our forecasted hazard is MODERATE. This is due largely to the significant wet layers that remain under Tuesday's new snow and near surface crust that formed during that cold front. The surface crust supports snowmobile and ski traffic, but allows boot pentration intermittently. Aggressive snowmobile riding would cut or break this surface crust to reveal the underlying wet weak layers. We know it has been a very long time since soft snow has been available. However, we urge caution in playing on steep slopes due to the weak wet layers. This situation is unlikely to improve this weekend due to day and night temperatures above freezing and 10-15 degrees above seasonal averages. 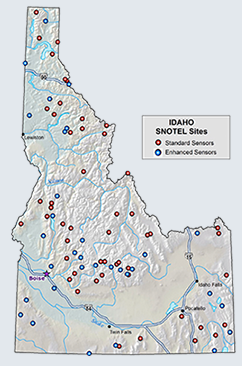 The heavy rain on snow event last Saturday to Sunday pushed creeks and rivers to near flood stage in the Kootenai Region. This latest storm rivaled the February 6th-7th rain on snow event, except there was much less snow available for the rain to fall on this time. It did produce a wet slab release (WS-N-D2-R2-O) of moderate size and damage potential on the east aspect of Benning Mountain. The release initiated just below the summit at 6,596 feet and ran to 5,500 feet within an existing path. Thursday I visited Benning Mountain (6,000 feet in the West Cabinet Range). There I encountered a 58 inch deep snowpack on a steep north aspect. The top 5 inches was 4 finger soft snow from Tuesday AM. Below that is a 3 inch knife hard crust that formed during the Tuesday morning cold front. Below these surface layers are three distinct wet layers totaling 12 inches. Each still retains free water from the previous weekend rain on snow event. Below these wet layers is a 29 inch thick pencil hard layer. The bottom 9 inches is a knife hard crust. Extended Column Tests yielded full propagation at 20 inches from the surface with hard force (ECTP28). Failure was at the wet snow (4 finger soft) - dry snow (pencil hard) interface. 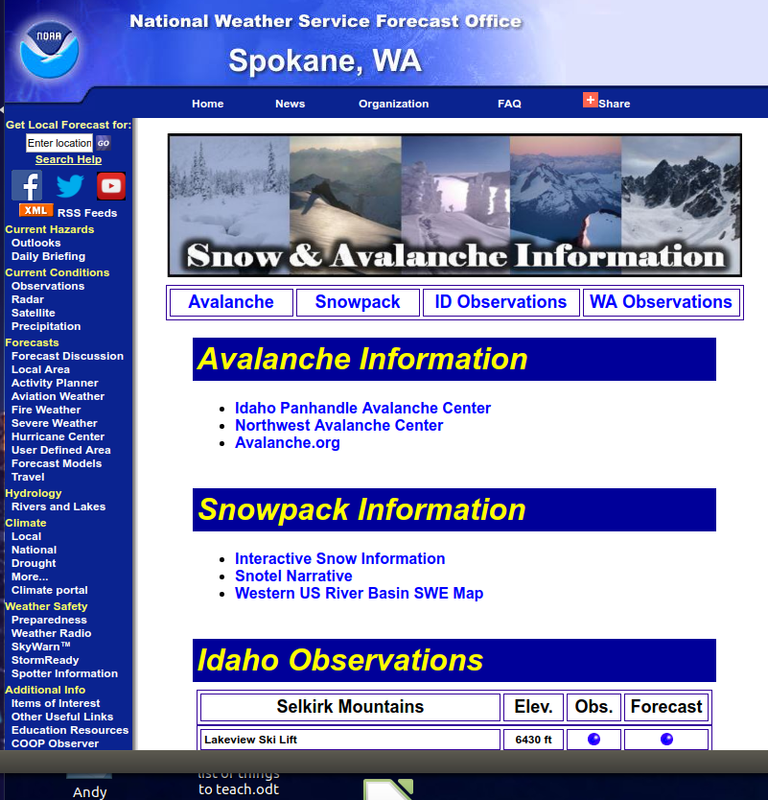 We have scaled back avalanche advisories to once a week which will be issued on Fridays. We will maintain this schedule through the remainder of the forecasting season. The last advisory will be April 3.